Making hip hop beats or making rap beats is a lifelong learning process. From learning the tools of the trade, to learning how to master those tools, it’s not something that will come to you overnight. This journey is more of a lifestyle change than anything else. If you want to be the best, then just like anything in this life it’s a never-ending 24/7 grind. However, if you just want to learn how to make beats and have fun doing it, you’ve come to the right place. This discussion will be more for the beginner than the expert. We will talk a little about music theory and the software and equipment you will need to get started. Then we will move on to how to actually make beats and export them. Don’t worry, we won’t make your head explode with too many hard to grasp terms and jargon. We will just focus on what you will need to be able to make your own beats and have the fun and satisfaction of doing it yourself. So before you can start down the road of becoming Dr. Dre, there are some things you need to have at least a working grasp of before you start. Music theory is one of those things. Without some sort of baseline for how music works, it’s difficult to know how to put beats together properly. For example, you know how to drive a car but if someone asks you to build them a car, would you be able to do it? It’s basically the same thing for music. You’ve listened to music your whole life, but could you compose a sonata? If you understand music theory and how to structure a song, then yes. Of course it wouldn’t happen tomorrow, but eventually with practice you certainly could. Without traveling too far, let’s drive through some of the basics. There are seven basic notes (A, B, C, D, E, F and G) and each of them can be warped to create a different sound, either flat (b) or sharp (#). The way those work is simple, if you want flat (b) move one black key to the left, if you want sharp (#) you move one black key to the right. This is known as half stepping. Some of the black keys have dual roles, meaning that you will hit the same black key for F sharp (F#) as you would for G flat (Gb). But why would I hit the same key twice for different sounds? 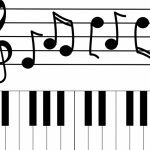 Well because on a piano, the black key straddles both the white key for F and the white key for G.
Has your brain turned to pudding yet? Good. Now that’s just a small peek into the very basics of music theory, but there is software available to help out with that. 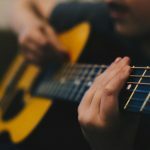 These tools will allow you to make chords and melodies without the need to master music theory. Making your own beats doesn’t require that you have an intimate knowledge of the piano just to have fun and create your own beats. However, if you want to be a producer someday then knowing this sort of information will be imperative. For now though, just get comfortable with how a MIDI keyboard works. When it comes to making your own beats, you will need the right music equipment to begin. Sure you could shell out thousands of dollars on a professional setup, but even if you don’t have the budget for that there are still several options available to make it friendlier to your wallet. Start by researching the essential items first, just the basic equipment. Your online search should give you the best idea of what equipment you want and how much you should expect to spend. Don’t be afraid to purchase used equipment in the beginning because it will obviously save you money. Cash you will need to buy shiny new equipment later, after you’ve mastered the old one. Now, if your only goal is just playing around making hip hop beats or making rap beats, then your essential equipment is simply a computer and some software. If you don’t plan on making full songs, then there’s no need to go too far in-depth about hardware and equipment. 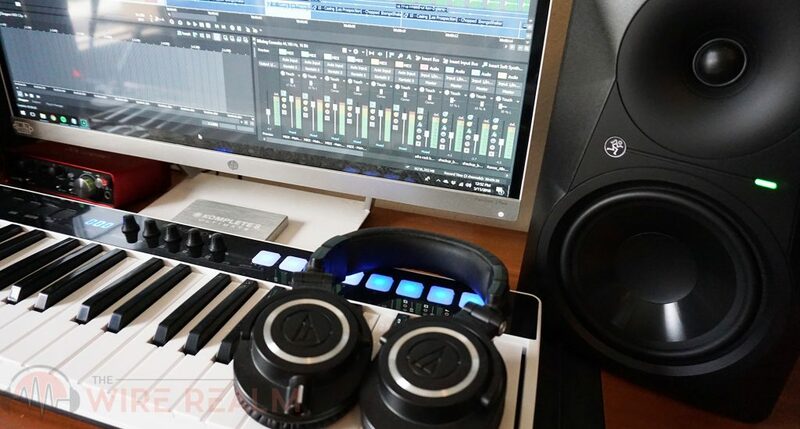 However if you do want to get more involved in actual music making, then you will want to intimately know those devices and more importantly how the software works. Every piece of hardware or software you buy will come with some sort of instruction manual or they’ll have one available online in a PDF file or on a website. Turn your inner geek towards that first. This will be the most important and basic item on the list. Some people prefer to have a music production laptop, others prefer a desktop computer for music. Really it all comes down to if you want to be more mobile or have an actual studio type of setup at home. When it comes to operating system or ‘computer type’, Mac vs. PC for making music is just a preference. Most music software nowadays will work on both machines. The laptop offers you the ability to make beats just about anywhere you want, but if you are planning to use USB devices, you may find yourself wishing you had more slots. The desktop offers multiple input sources for your devices as well as more computing power available to you (depending on your budget), but obviously it is a stationary piece of equipment. Whichever one you choose will need to satisfy a few basic minimum requirements in order to properly run the software and hardware, or to just store all of your work. A good PC or Windows computer should cost around $1000 USD without the monitor, the Apple iMac will run you about $1100 for the basic one. It won’t matter whether you use an AMD or Intel processor as long as it’s at least dual-core but a quad-core processor would be the way to go if you can afford it. For memory, you will want at least 16GB of RAM. Any less and you may find yourself waiting on your computer more often than it waits on you. 32GB of RAM should be optimal for the computer to keep up with you for not only now but the future as well. The video card is not a consideration if you’re not going to play games on your computer. The software interface is simple enough for the built-in video card to handle. If you plan on making music videos someday though, you will want to add a quality card to your system. Storage should be a budget priority because you will never forgive yourself if you make the perfect beat and can’t save it, or worse you remember one you made a long time ago but had to delete it to make space. A Solid State drive is the best bet in this case. Just use it for your operating system and the music software, you’ll get faster load times with the software and you won’t have to wait to replay your beats. A 1 TB drive should last you a good while, but make sure you get at least a 500GB drive. You’re also going to need another drive for actual library storage. In the beginning a 1 TB drive will do the trick, but as you expand your beat library you may want to get another larger hard drive. A DAW or Digital Audio Workstation, will be the heart of your beat making system. Even if you only plan to just make beats, this software will allow you to do much more. If you find that you really enjoy making your own beats and want to try to make money with them, you already will have all the software you will ever need. This is why it is important to read the instruction manual cover to cover, and master the controls. You should find that the more you experiment, the more impressive things you’ll find the software able to do (the sort of thing that is just perfect for exploring and getting the creative juices flowing). There are several different choices of music software that we won’t go into here, just know that you should expect to spend at least $100 US on the software. You can even find some free music software to start playing around with, or read our beginners music software guide for some of our favorite DAWs that also offer free trials for us just starting out. The MIDI Keyboard or controller will be another essential component in making hip hop beats. Basically the MIDI just lets instruments and software talk to each other through the computer. Nowadays most devices will be connected via USB, but some still use a 5-pin MIDI cable to connect to the computer, in which case you will need an adapter. If you’re just starting out though, the USB style will work just fine. The MIDI keyboard is more like a piano and the MIDI controller is more like a digital drum set. They both do exactly the same thing, but using different interfaces. You could of course use just your mouse, but it won’t be long before you tire of trying to put your cursor on exactly the right point on the screen every time you want to change something. In the beginning, studio headphones will most likely be the way to go. The idea that you would want to go with studio monitors right off the bat, would be more expensive and if you don’t live alone it may cause problems with your neighbors and family. A quality set of headphones will do the job as well as the monitors can and you will remove the possibility of outside sound contamination when you playback your beats. 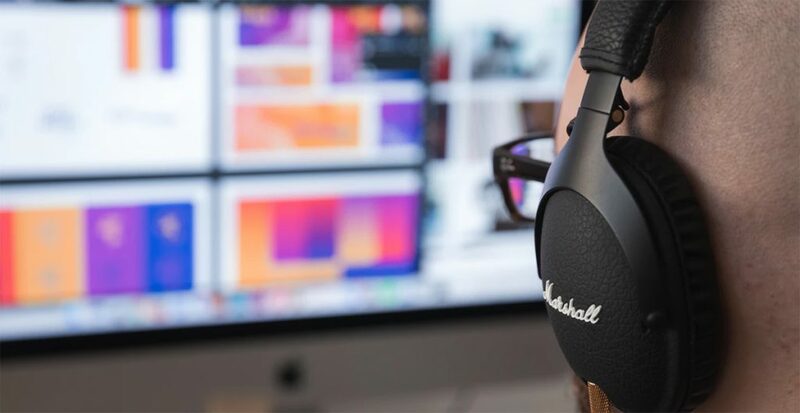 If you have the budget and the ability to put in sound proofing though, then studio monitors can offer more comfort for those long grind sessions. Now that we have all of the techy stuff out-of-the-way, let’s get to the fun part. Before your workflow begins, let’s go over a few things about how to make beats. If you’re making hip hop beats, there are four basic instruments that combine to make that beat. The bass line, the drum line, the lead and the support. The bass line backs up the drum line which sets the tone for the whole beat. The lead and support are exactly what they sound like. The Lead is the primary instrument, for example a violin or piano and the support is basically any other instruments. Typically there are 3 different levels of beats per minute (BPM) based on how fast or slow the artist wants to sing or rap. The slower beats (65 to 75 BPM) are for the fast talkers and R&B singers. It gives the rapper more time and makes for a more soulful sound for the singers. The medium tempo (80 to 95 BPM) is more flexible, a good all-around speed. 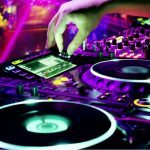 Fast tempo (115 to 140 BPM) is more for the dance floor. When arranging a song, look into different song structures, but typically each one starts with the intro (although sometimes I do like to start beats that hit right away with no intro, or at least build up). The intro is just the teaser and slowly builds up the hook. There usually aren’t very many elements in the intro. Next is the hook or the verse. 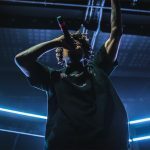 Some like to start with the hook because it sets the tone for the whole song, others like to start with the verse instead because they have nice vocals that they want to use to set the tone of the song. It really depends on how you like to set up songs. Next up is the bridge, now the bridge is usually used for the last verse of the song. You may have more than one bridge though, depending on how many verses you have. So you’ve placed the intro, the hook, the verses and the bridges. Now you need the ending, otherwise known as the outro. The outro is as simple as it gets, the song just fades out, ends, or perhaps has some ending elements to it without drums. The easiest way to understand making beats is to look at the timing. Most songs work to a 4/4 count. This is called “common” time and is used in most hip hop and rap songs (although nowadays they can go as high as 8 counts). Tracking out is the process of exporting all of your instrument and sound files separately once you’ve finished creating your song. The reason you would want to do this is so that you can use those files on a different software program. The most popular formats to export your music files to are WAV and MP3. The MP3 is the one we are all familiar with. It is a compressed file though so the quality will suffer but the file size will be smaller. The MP3 file type is best used for online streaming. On the other hand, a WAV file is not compressed so there is no drop off in quality. Of course this also means that the file size will be much larger and hence is not recommended for online streaming. The advantage to tracking out is so that in the event you have an artist that wants to use one of your beats, they can add and subtract whatever they want from it to fit their personal style. Every software program has different methods for tracking out beats, so we won’t go into that here. Make your first beat and don’t look back! It’s been quite a journey. 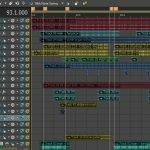 There is a myriad of music software programs out there and each one of them has a different method for how their controls work. Master the controls of your MIDI and the software you choose to go with it. Usually the best way to be creative is just to play around with the controls. It will take time, so don’t get discouraged. In the end, you’ll have a lot of fun and learn something useful along the way.